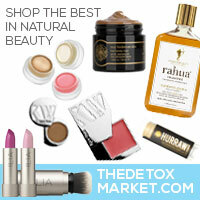 There's a great article on Planet Green that breaks down travel options and their impact. 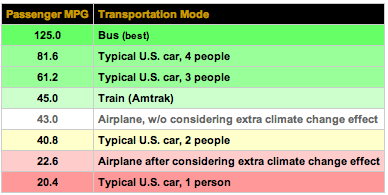 They conclude that you choose transportation in the following order (first has the least impact, last has the most): bus, train, car, plane. Another piece on a site called Michael Blue Jay and one on Green Blizzard agreed. And lastly, an article on New Scientist agrees for the most part, except when seats are empty on public transit. Here are some rough calculations between Venice Beach and Inner Richmond in San Francisco. You will notice that it doesn't quite match up with the articles above, but these are all estimations. Traveling by train takes a whopping 11 hours (!!! ), not to mention travel to and from station (downtown Los Angeles and Oakland), and costs about $60-100 round trip on Amtrak. It's about 860 miles round trip, and according to CarbonFund that's 353 lbs of CO2. 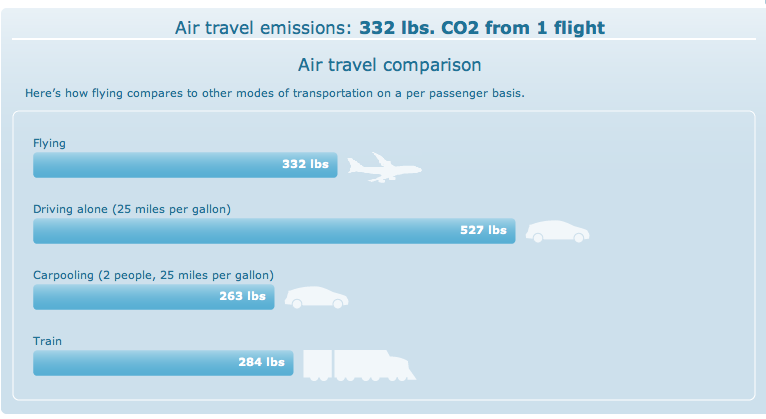 Plus, 4 lbs round trip for the MUNI in San Francisco and 7 lbs for car rides in Los Angeles, comes out to be 364 lbs of CO2. Traveling by plane takes me about 3 hours door to door one way, with just a 45 minute to an hour flight, but it costs about $150 round trip. It's about 675 miles round trip, and according to TerraPass that takes about 332 lbs. of CO2. Plus 18 lbs round trip for MUNI and BART in San Francisco and 15 lbs round trip car rides to LAX, comes out to be 365 lbs of CO2. Traveling by bus takes about 8 hours, plus an hour from door to door, but it's under $100 round trip. 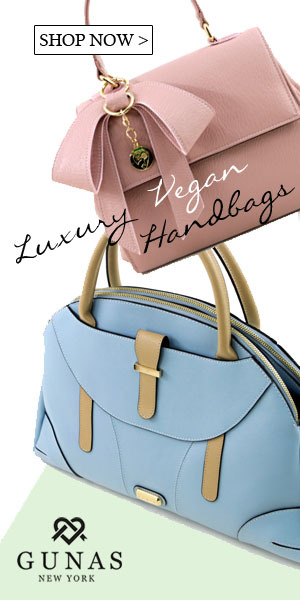 It's about 780 miles round trip, and according to CarbonFootprint.com that takes about 375 lbs. of CO2. Plus, 4 lbs round trip for the MUNI in San Francisco and 8-38 lbs for car rides to the bus station (according to CarbonFund). 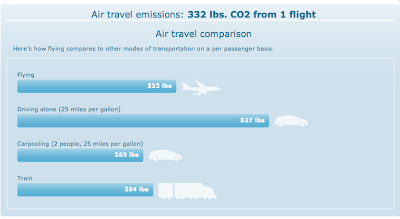 So the bus takes approximately 400 lbs of CO2. See below for bus companies. Traveling by car takes me about 5.5 hours door to door, and it costs about $120 round trip depending on gas (my car gets about 28 miles per gallon on the highway). It's about 780 miles round trip, and according to TerraPass that takes about 520 lbs. of CO2. 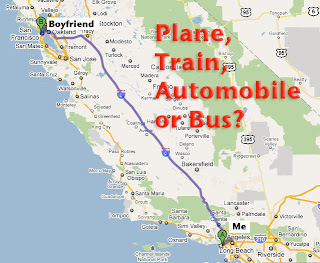 Despite my calculations, it seems like traveling by bus is the best way for my boyfriend and I to see each other. 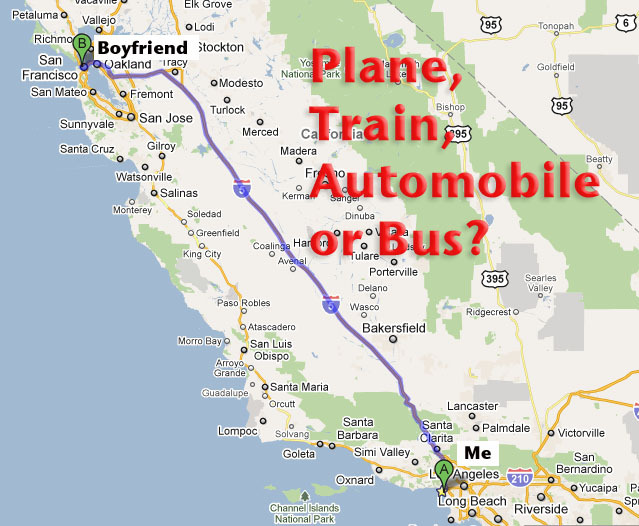 Luckily, it isn't much of a hassle because unlike driving we can work on the bus, and it's less expensive than flying.